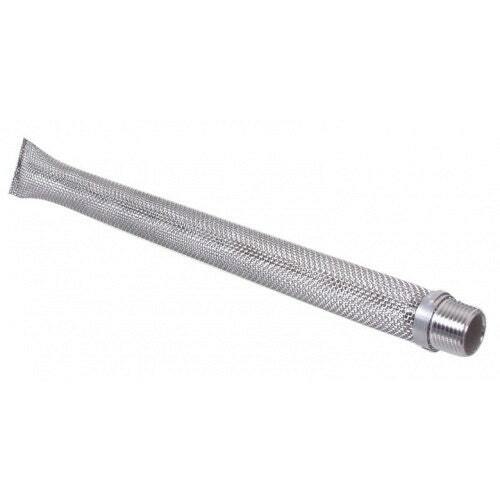 The Kettle Tube is a rugged tube of stainless steel screen 12" in length, 1" in diameter, with a 1/2" MPT fitting at one end, and is a direct replacement for the discontinued Bazooka Screen. This fitting will thread directly most kettle and ball valves, allowing you to better filter trub and whole hops from your wort while transferring from your kettle to your fermenter. Excellent for straining out leaf hops in the boil kettle (Pellet hops can clog the screen). 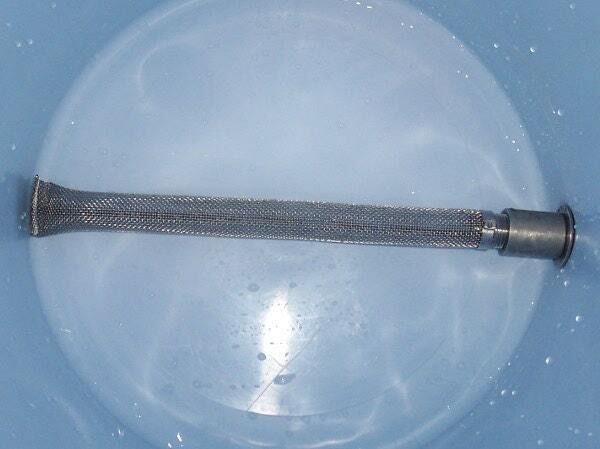 Customers also use this as a screen in their Cooler Mash Tun! (See 2nd Pic).